Information about speakers on Machine Learning in Photonics Symposium you can find here. Dr. Eggeling holds a PhD in Physics from the University of Göttingen, Germany, where he optimized single-molecule fluorescence detection. From 2000 to 2003 he was a research scientist at the biotech company Evotec, Hamburg, Germany, developing advanced fluorescence microscopy techniques for high-throughput drug screening. 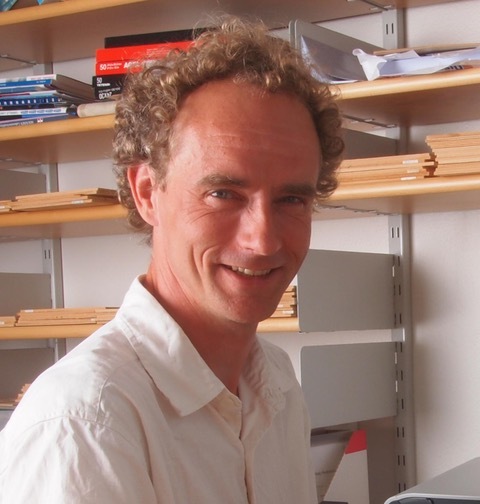 In 2003, Christian Eggeling joined the Max-Planck-Institute for Biophysical Chemistry, Göttingen, Germany as a senior scientist in the department of Professor Stefan Hell (2014 Nobel Laureate in Chemistry). Here, he was focused on the field of optical super-resolution microscopy, specifically the biological applicability of stimulated emission depletion (STED) microscopy. 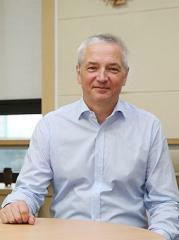 Since 2012, Christian Eggeling has been a principal investigator in the Human Immunology Unit and the scientific director of the newly established Wolfson Imaging Centre Oxford at the Weatherall Institute of Molecular Medicine, University of Oxford, United Kingdom, and in 2014 he has been appointed Professor of Molecular Immunology. From December 2017 on he started as a Professor of Super-Resolution Microscopy and director of the Institute of Applied Optics (and Biophysics) (IAOB) at the Friedrich Schiller-University Jena, and as the Head of the Department of Biophysical Imaging at the Leibniz Institute of Photonic Technologies in Jena, Germany. Christian Eggeling's research is focused on the development of advanced microscopy for the investigation of molecular organization and dynamics in cells, especially on the cellular plasma membrane. 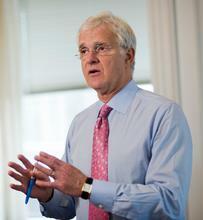 David Campbell is a Professor of Physics, Electrical and Computer Engineering at Boston University. He obtained PhD in Theoretical Physics and Applied Mathematics at Cambridge University in England. His research covers three distinct but overlapping areas: two-dimensional electronic membranes, "intrinsic localized modes" (ILMs) and Functional Renormalization Group (FRG). His publications has been cited over 11,000 times giving him an h-index of 58 and i10-index of 159. From 1991 he is Editor-in-Chief of the Chaos, AIP Publishing. He is a Fellow of the American Physical Society for significant contributions in theoretical physics to quantum field theory, condensed-matter physics, computational physics, and non-linear science, and for his leadership role in the development of institutional programs in nonlinear science both at Los Alamos and internationally, Fellow of the American Association for the Advancement of Science and J. Robert Oppenheimer Fellow of the Los Alamos Scientific Laboratory. On 2010 he was awarded with the Julius Edgar Lilienfeld Prize by American Physical Society. 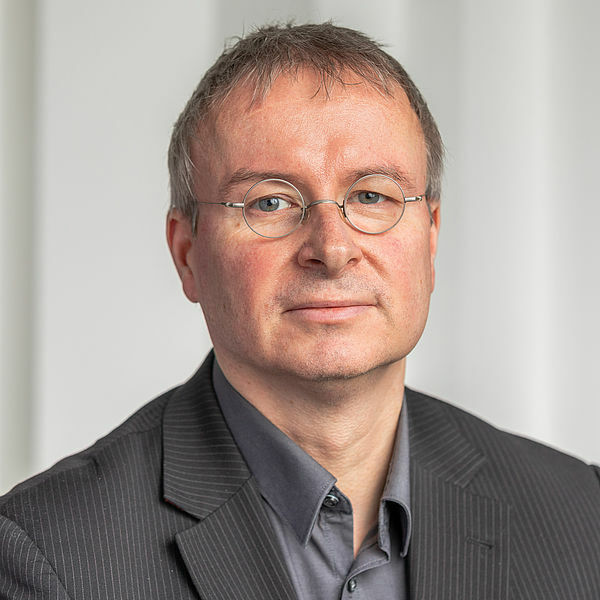 Gerd Leuchs is professor adjunct at the physics department of the University of Ottawa and director emeritus at the Max Planck Institute for the Science of Light in Erlangen. 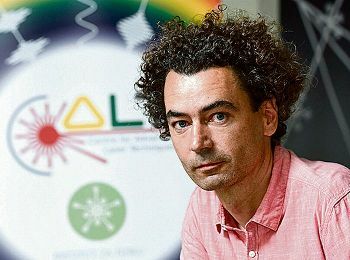 After 15 years in academic research at the Universities of Cologne, Munich and at JILA, Boulder, Colorado, he worked at a Swiss optics company for five years. His scientific work includes quantum beats, photo-electron angular distributions in multi photon ionization, quantum noise reduced and entangled light beams and solitons in optical fibres, quantum communication protocols, focusing light beams and nanophotonics. For five years, Gerd Leuchs led the German gravitational wave detection group (1985-1989). He has been Visiting fellow of JILA, Feodor-Lynen fellow of the Alexander von Humboldt Foundation, Heisenberg fellow of the German Science Foundation, Visiting Professor at the Australian National University, at the University of Adelaide and the Laboratoire Kastler Brossel of the Ecole Normale Superieure. He is member of the German Physical Society, the German Society for Applied Optics, the European Physical Society and the German Academy of Sciences Leopoldina, and Fellow of the Institute of Physics and of the Optical Society of America. He is foreign member of the Russian Academy of Sciences. He holds honorary degrees from the Danish Technical University and Saint Petersburg State University. 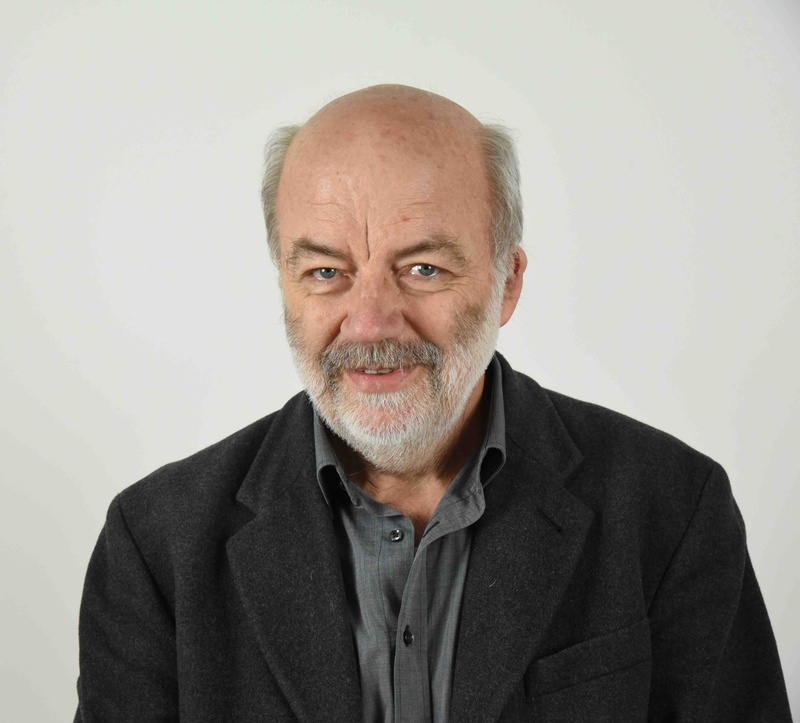 In 2005 he received the Quantum Electronics Prize of the EPS, and in 2018 the Herbert Walther Prize jointly awarded by the Optical Society (OSA) and the German Physical Society (DPG). Professor Yeshaiahu (Shaya) Fainman is a Cymer Professor of Advanced Optical Technologies and Distinguished Professor in Electrical and Computer Engineering (ECE) at the University of California, San Diego (UCSD). He received the Ph. D. from Technion in 1983. Currently he is directing research of the Ultrafast and Nanoscale Optics group at UCSD and made numerous contributions to near field optical phenomena, inhomogeneous and meta-materials, nanophotonics and plasmonics, and non-conventional imaging. The research applications target information technologies and biomedical sensing. His current research interests are in near field optical science and technology. He contributed over 300 manuscripts in peer review journals and over 450 conference presentations and conference proceedings. He is a Fellow of the Optical Society of America, Fellow of the Institute of Electrical and Electronics Engineers, Fellow of the Society of Photo-Optical Instrumentation Engineers, and a recipient of the Miriam and Aharon Gutvirt Prize, Lady Davis Fellowship, Brown Award, Gabor Award, Emmett N. Leith Medal and Joseph Fraunhofer Award/Robert M. Burley Prize. Karl Unterrainer received the MS degree in Physics and the PhD degree from the University Innsbruck, Austria. In 1992 he became assistant professor at the Technische Universität Wien, Austria. In 1994 and 1995 he worked as a visiting researcher at the Quantum Institute, University of California, Santa Barbara. He used nonlinear THz spectroscopy to study intersubband relaxation rates and observed the inverse Bloch oscillator effect. From 1997 till 2003 he was associate professor at the Technische Universität Wien. 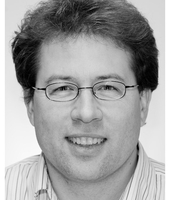 Since 2004 he his full professor at the Photonics Institute, TU Wien. Since 2006 he is coordinating the FWF research cluster "Infrared Optical Nanostructures IR-ON". In 2014-2015 he was the dean of the department of Electrical Engineering and Information Technology, TU Wien. His main research areas are THz spectroscopy of semiconductor nanostructures and the development of THz devices. He is author or coauthor of more than 280 scientific articles and winner of several awards among them is the START award from the Austrian FWF. Sergej Flach is a theoretical physicist whose research has spanned a number of scientific fields in his career. With about 200 publications to his name, his research has been cited over 12,000 times giving him an h-index of 50 and i10-index of 149. He is a member of the American Physical Society, German Physical Society, Korean Physical Society, and New Zealand Institute of Physics. 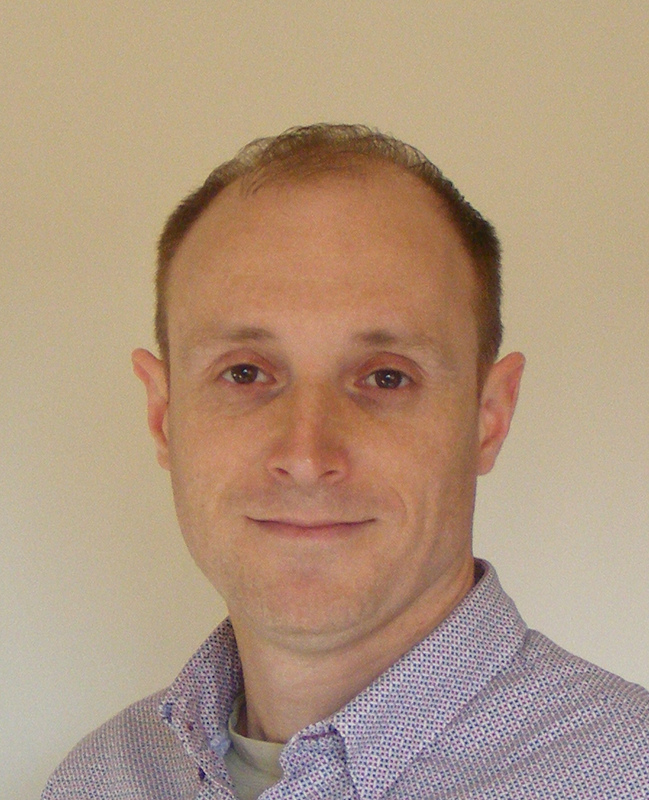 He is an editorial board member of Chaos (2016-) and was an editorial board member of Physical Review E (2009-2011). He is the founding director of the Center for Theoretical Physics of Complex Systems (Institute for Basic Science), a professor at the University of Science and Technology, and an honorary research fellow at the New Zealand Institute for Advanced Study in Massey University. Sven Burger received his PhD from University of Hannover, Germany. Currently he heads the Computational Nano Optics research group at Zuse Institute Berlin, Germany. 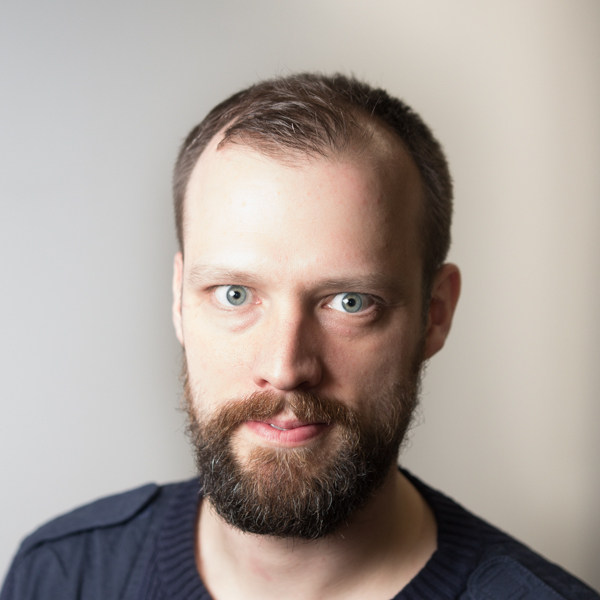 He is further a member of the Berlin Joint Lab for Optical Simulations in Energy Research, of the DFG excellence cluster Math+, and of the board of JCMwave, a spin-off company from Zuse Institute Berlin. His current research fields are in modelling, simulation and optimization related to applications in optics and photonics. 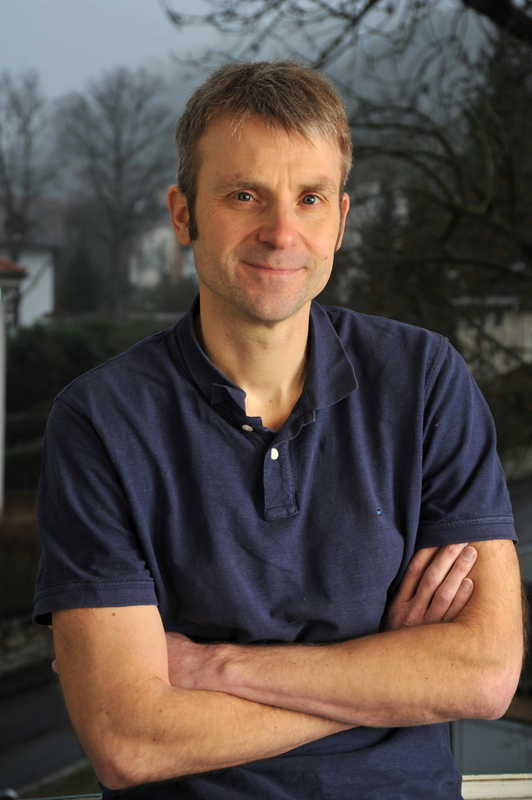 Thierry Verbiest obtained his PhD in physical chemistry in 1993 at the university of Leuven (Belgium). After a postdoc at the IBM Almaden Research Center (San José, CA) he returned to the university of Leuven where he is now a full professor in the department of chemistry. He has performed research in the fields of nonlinear optics, magnet-optics and chiro-optics and is author/co-author of more than 300 papers in peer-reviewed journals. His current research interests are multi-photon microscopy of organized structures, nonlinear optical scattering to study dynamical processes and magneto-optical properties of organic materials. Thorsten Wohland studied Physics at the Technical University of Darmstadt and the University of Heidelberg in Germany. He conducted his diploma thesis at the European Molecular Biology Laboratory (EMBL) and obtained his PhD in Biophysics at the Swiss Federal Institute of Technology in Lausanne (EPFL), Switzerland, for theoretical and experimental work on fluorescence correlation spectroscopy (FCS). Following a two year postdoc at Stanford in the USA working on single molecule detection, he joined the National University of Singapore, where he is now Professor in the departments of Biological Sciences and Chemistry. At NUS he developed several new fluorescence correlation spectroscopy methods, imaging total internal reflection fluorescence correlation spectroscopy (ITIR-FCS), single plane illumination microscopy FCS (SPIM-FCS), and single wavelength fluorescence cross-correlation spectroscopy (SW-FCCS), which allowed taking correlation images of live cells and quantitatively measure affinity constants of bimolecular interactions in live organisms, respectively. His current research aims at the application of these methods to biological problems. Aleksandar R. Milosavljević is Beamline Scientist Synchrotron SOLEIL, France. His research interest is in Experimental physics of atoms and molecules; Cross-beam experimental technique; Electron and photon interactions with biomolecules; XPS and NEXAFS; Electron optics, electron-trace simulations; Electron transmission through nanocapillaries; Electron interaction with nanostructures. 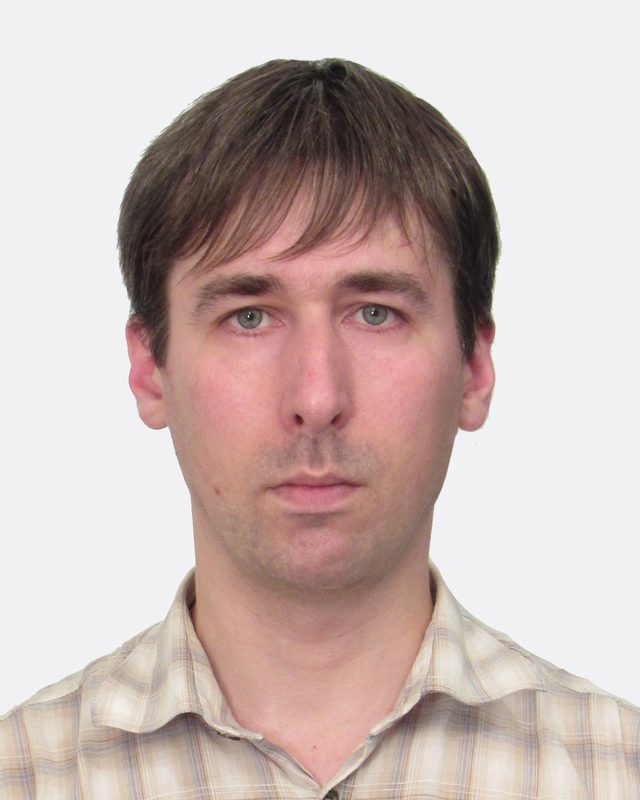 ANDREI PANARIN has obtained his PhD in 2010 at the Universite Pierre et Marie Curie, Paris, France in the framework of France-Belarusian collaboration. The topic of his thesis was formation, study and application of novel highly-sensitive SERS-active substrates based on porous materials, such as porous silicon and anodic aluminum oxide. ANDREI PANARIN has been working at the Laboratory of Photonics of Molecules of B.I. Stepanov Institute of Physics NAS Belarus since his graduation in 2000. Main areas of his research are: (i) investigation of excited state properties of tetrapyrrole compounds and their complexes with proteins and DNA by methods of steady-state & laser time-resolved absorption and emission spectroscopies, (ii) development and design of new experimental technique, (iii) novel plasmonic nanomaterials for application in SERS spectroscopy and (iv) nano-optical and SERS-based sensing applications of plasmonic to ultrasensitive analysis, environmental monitoring and forensic expertise. Over the 15 years Dr. Panarin is the co-author of over 100 publications in monographs, peer-reviewed journals, proceedings and books of abstracts of international conferences. Andrei Panarin has been awarded with a number of Grants and Awards by Belarusian national and scientific organizations. Dr. Panarin has been a participant and a leader in more than 10 national research projects. Also he participated in common projects with research teams from France, Spain, Czech Republic and India. 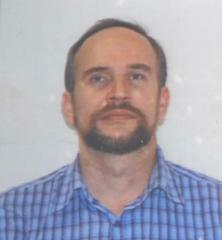 Arne Wickenbrock received his PhD from the University College London, UK in 2012. After a short stay as a visiting researcher at the University of California, Berkeley, he joined the newly founded group of Prof. Dmitry Budker in Mainz, Germany. He is currently the deputy section leader of the Matter-Antimatter Asymmetry (MAM) section at the Helmholtz-Institute Mainz (HIM). There he searches for physics beyond the standard model with table-top experiments, measures feeble biomagnetic signals with atomic or solid state based sensors and more generally attempts to bridge the gap between quantum sensor development and applications. Boštjan Batagelj received his PhD from the University of Ljubljana in 2003 for work on optical-fiber non-linearity measurements by four-wave mixing. 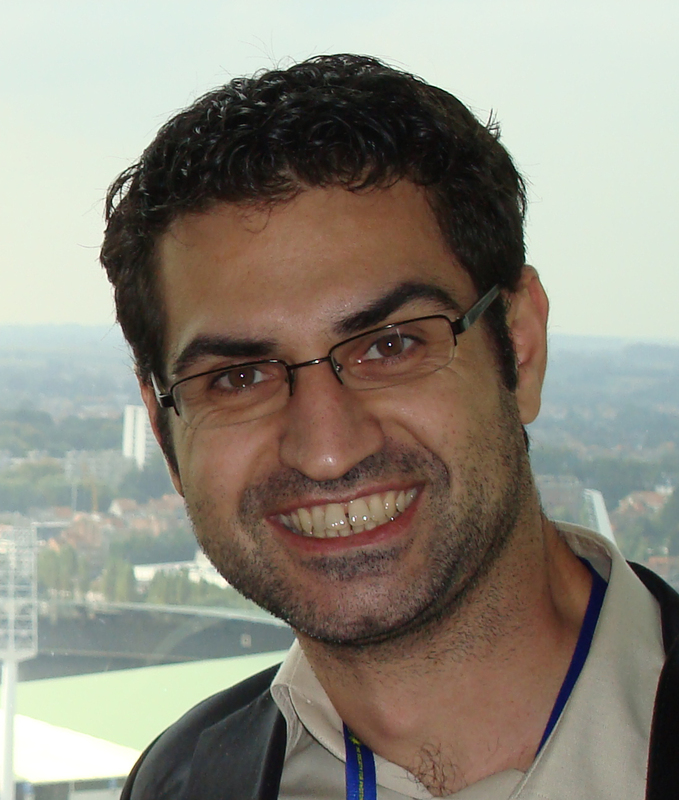 He is currently an assistant professor at the University of Ljubljana, Faculty of Electrical Engineering. His current research interests are in areas of next-generation optical access networks, optical-technology-based timing systems and microwave photonics. 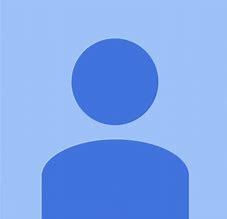 He has authored or co-authored over 250 technical and scientific publications and is named as an inventor on ten patents. He was co-founder of two start-up companies in the field of microwave and optical technologies. She worked on quantum aspects of nonlinear optics. Her current research interests are in Quasi-periodical and periodical structures, photonic crystals and plasmonics, with application of nonlinear optics to new materials and metamaterials. A part of her research activity is devoted to the study of materials, their optical properties including thermophysical properties of materials . 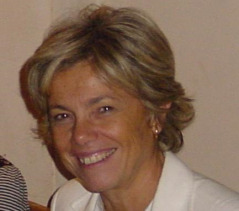 She is author of more than 400 papers on international journals, with more than 70 invited presentations at Conferences. She is member of the Optical Physical Society, European Physical Society, IEEE member, European Optical Society and Italian Optical Society. 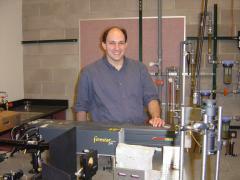 Damir Aumiler received his PhD in femtosecond laser spectroscopy from the University of Zagreb, Croatia, in 2006. He spent his postdoc at the Institute of Chemistry of the Chinese Academy of Sciences, Beijing, in the group of prof. Andong Xia, working on single-molecule spectroscopy. He is currently the project manager of a 16 mil. EUR project "Centre for Advanced Laser Techniques (CALT)" - a Croatian strategic research infrastructure project funded by the European Regional Development Fund (ERDF). His research focuses on opto-mechanical effects on atoms induced by frequency comb excitation, with the goal to create the tools that will allow us to extend laser cooling to more diverse species of atoms and molecules. 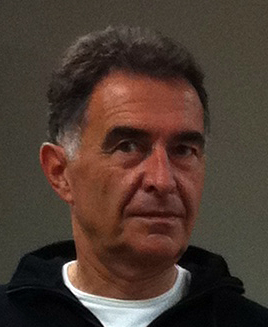 Dejan Zecevic (b. Belgrade 1948) is Senior Research Scientist at the Department of Cellular and Molecular Physiology, Yale University School of Medicine. He received the PhD in Biophysics from The University of Belgrade, Serbia and was trained in the laboratory of Dr Lawrence Cohen who initiated the field of voltage-sensitive dye recording. Dejan is the pioneer of intracellular voltage-sensitive dye imaging technique, a unique and a cutting edge technology for monitoring the membrane potential signaling in axons, dendrites and dendritic spines of individual nerve cells. JIN DONG SONG was born in Seoul, South Korea. He received the B.S. degree from Seoul National University, Seoul, South Korea, in 1995 and the M.S. and Ph.D. degrees from the Gwangju Institute of Science and Technology, Gwangju, South Korea, in 1997 and 2002,respectively. His graduate work examined MBE growth of 3-5 nanostructures for their application to optoelectronic devices. He is currently the Program Leader for the Development of Low-Power Consumption III-V on Si Devices for the Post-Si Era. His research interests include the growth of quantum structures by MBE and Nanostructure-based optical devices: laser diodes, mid-IR image sensors, and Si-photonic devices. Jörn Bonse is a tenured scientist at the Federal Institute for Materials Research and Testing (BAM) in Berlin, Germany. 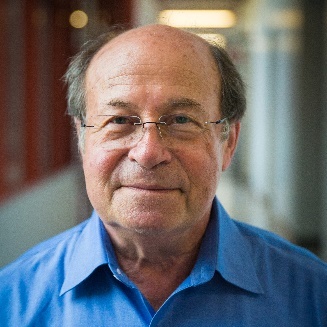 His research interests include the fundamentals and applications of laser–matter interaction, especially with respect to ultrashort laser pulses, laser-induced periodic nanostructures, time-resolved optical techniques, laser processes in photovoltaics, and optical phase change materials. He received a Ph.D. degree in Physics from the Technical University of Berlin (Germany) in 2001, and a Diploma degree in Physics from the University of Hannover (Germany) in 1996. Dr. Bonse has occupied various research positions at institutions such as the Max-Born-Institute for Nonlinear Optics and Short Pulse Spectroscopy (MBI) in Berlin, the Spanish Research Council (CSIC) in Madrid (Spain), and the Laser Zentrum Hannover (LZH) in Hannover. He was appointed as a senior laser application specialist at Newport’s Spectra-Physics Lasers Division in Stahnsdorf, Germany. 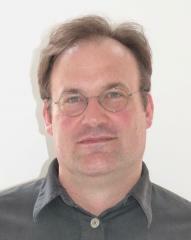 Dr. Bonse is a member of the German Physical Society (DPG) and of the European Materials Research Society (E-MRS). 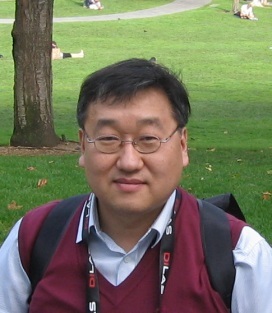 He has received a "2013 OSA Outstanding Reviewer Award" of the Optical Society of America. In 1999 he was a recipient of an award for applied research, presented by the federal German state Thuringia, for the development of high-power fiber lasers. Between 2014 and 2017 he served as an Associate Editor for the journal "Optics Express" of the Optical Society of America. He has authored more than 130 refereed journal publications, and 2 patents related to his research activities. 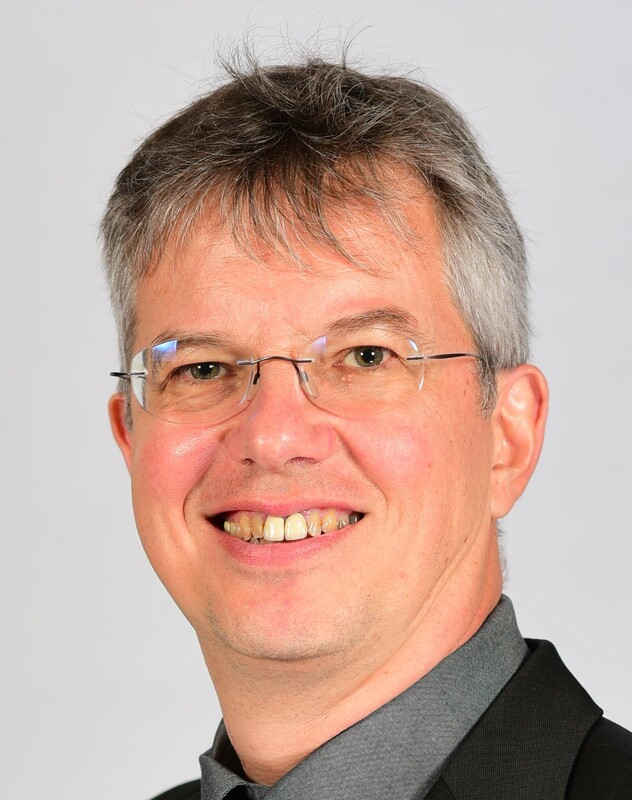 Michael Gensch is professor for „Terahertz- und Laser Spectroscopy“ at the Institute for Optics and Atomic Physics at the TU Berlin and head of the department for „Terahertz- und Laser Spectroscopy“ at the DLR (German Aerospace) Institute of Optical Sensor Systems in Berlin. His research interest is inTerahertz Spectroscopy, Laser Spectroscopy, nonlinear THz science, instrumentation development, accelerator-based light sources, Dirac Materials, ellipsometry, THz-IR-VIS-UV-X-ray spectroscopic techniques. Michael Pravica is a professor of physics at the University of Nevada Las Vegas. He received his doctoral and masters de-grees from Harvard University in experimental condensed matter physics and earned his undergraduate degrees in physics and ap-plied mathematics (with honors) from Caltech. As an experimen-talist, he studies the behavior or matter subjected to extreme conditions (high pressure, high temperature and high radiation flux) and is developing useful hard x-ray photochemistry wherein the highly focused, highly energetic/ionizing, and highly pene-trating properties of hard x-rays (>7keV) are harnessed to en-able novel routes of chemical synthesis and decomposition. By applying a combination of thermodynamic parameters (e.g. pressure and x-ray irradiation energy), he has synthesized novel compounds such as stable doped polymeric carbon monoxide which shows industrial promise. He has also synthesized novel struc-tures of known compounds (e.g. CsO2) using his novel methods demonstrating the promise of this new field of science for novel materials synthesis. He is also developing fluorine chemistry at extreme conditions (>1 GPa) most recently using his methods to possibly synthesize HgF4. Professor Pravica is also a passionate communicator of sci-ence with over 150 published essays and letters written about science, education, and one of the world’s greatest inventors: Nikola Tesla. For these efforts, he was made a member of the Serbian Royal Academy of Arts and Sciences. He has the moniker “Scientist!” as a participant in the No Script show produced by Bleacher Report. Sebastian Frische graduated at Aarhus University in Denmark in 1997 on a thesis on the ultra-structure of spider silk and received the Ph.D.-degree from Aarhus University in 2001 based on his work on the structural and functional properties of hemoglobins from turtles. Since 2001 he has been employed at the medical faculty of Aarhus University, where he currently holds a position as associate professor at Department of Biomedicine. Since 2001, his research has centered on structural adaptations of the kidney to changes in electrolyte and acid/base homeostasis as well as hormonal disturbances including diabetes. In recent years, he has expanded this research by using in vivo 2-photon microscopy to investigate the changes in capillary blood flow in the kidney of living rats. Sergey I. Kudryashov is leading research scientist at Department of laser technology and systems, ITMO University in St. Petersburg, and associate professor in Laboratory of Gas Lasers, Quantum Electronics Division, P.N. Lebedev Phys-ical Institute, Russian Academy of Sciences, in Moscow. His research interest is in microscopic mechanisms of struc-tural phase transitions of I,II-order and spinodal phenomena, insulator-metal transitions, laser damage and ablation, sub-picosecond dynamics of carriers and lattice, electron-phonon-point defect interactions, unstable solid, liquid and vapor phases; mechanisms of laser ablation, nano- and microstructuring and modification of materials. 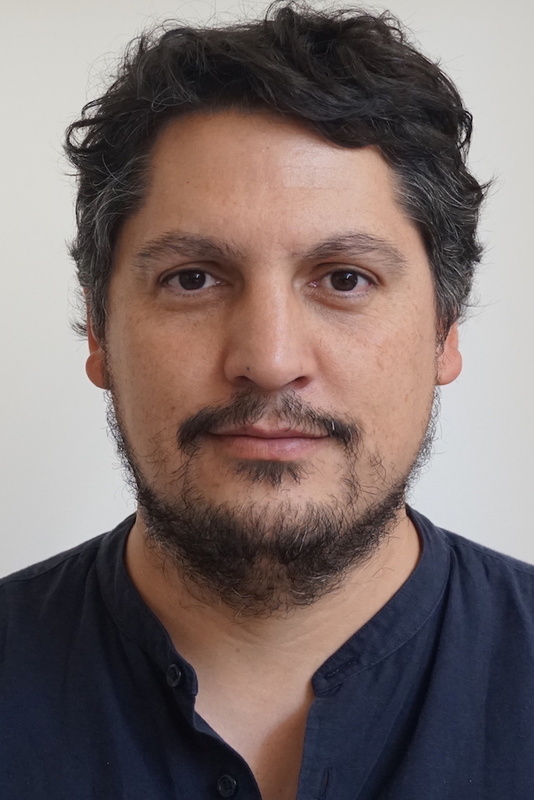 Professor Rodrigo A. Vicencio is an Associate Professor at the Faculty of Physical and Mathematical Sciences at the Universidad de Chile, in Santiago, Chile. 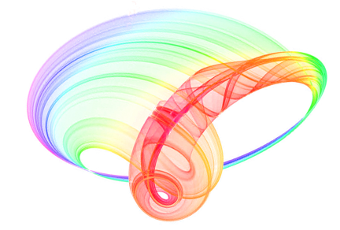 In 2004 he received the Ph.D. in Physical Sciences from the same University based on his studies on mobility of localized excitations in discrete nonlinear optical systems. During the years 2005-2006 he was a guest scientist at the Max Planck for the Physics of Complex Systems, where he was working on the Discrete Breathers group. Since 2007 he became an Instructor Professor at the Universidad de Chile, where he continues working. 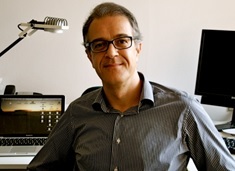 At present he is Director of the Group of Optics (GO), which is mainly focused on the fabrication and characterization of photonic lattices fabricated by the femtosecond writing technique and for optical induction. Nowadays, his group is investigating deeply the interactions between fundamental and dipolar states on different lattice geometries, with an emphasis on flat band lattices. Vincent Boyer got his PhD on Bose-Einstein condensation from the University of Paris in 2000. Since then he has worked on ultra-cold atoms and quantum optics at the National Institute of Standards and Technology, USA, and the University of Oxford. 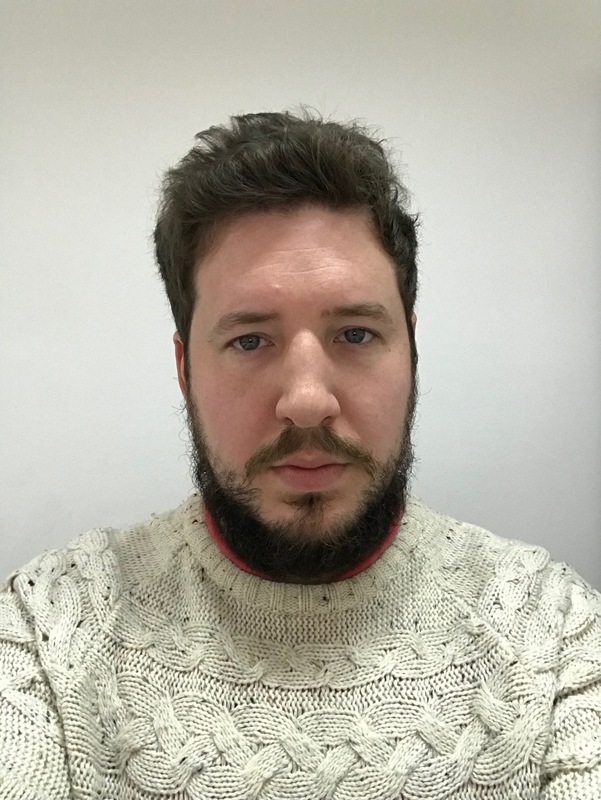 He is now a lecturer at the University of Birmingham, UK, where he studies the fundamental and practical aspects of quantum imaging as well as simulations of quantum transport using cold atoms. 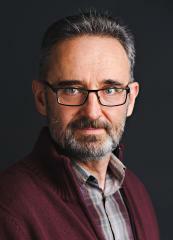 After completing his doctoral studies in the Vinca Institute in Belgrade in 1991, Zoran Miskovic joined the Department of Applied Mathematics at the University of Waterloo, Canada. He is currently a Professor in that Department and is a member of the Waterloo Institute for Nanotechnology. His early research interests focused on theoretical modeling of interactions of charged particles with solids, surfaces and plasmas. In the past 15 years, Professor Miskovic's interests shifted to particle interactions with low-dimensional materials, such as carbon nanotubes, graphene and other 2D materials of interest in Nanoplasmonics. He currently explores processes induced by the interaction of fast electrons with nanostructures, involving electron energy loss, excitation of plasmon and phonon polaritons, as well as transition radiation from those structures. This work is of interest for, e.g., novel sources of radiation in Nanophotonics, new generation of particle detectors, and probing plasmonic nanostructures by means of transmission electron microscopy. Dr Andrej Bunjac was born in Belgrade on the 03. of December 1988. He finished his elementary school and high school in Belgrade and enrolled to the Belgrade Faculty of physicsin 2007 for the study group “applied and computer physics” butin 2009 changed the study group to “theoretical and experimental physics”. 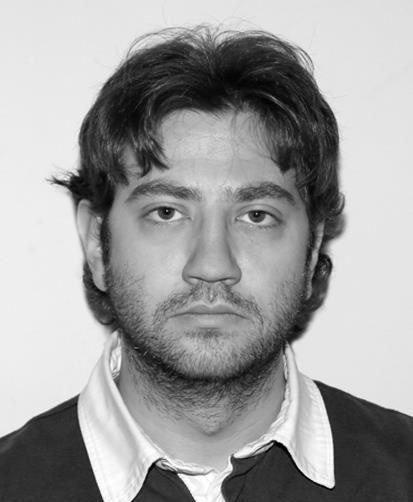 He completed his bachelor studies in 2011 and his master studies in 2012 with the graduate work titled “Modern theory of polarization of dielectrics” under the mentorship of Dr Tatjana Vuković. He enrolled for PhD studies in 2012 and has been employed on a research project OI171020 “Physics of collisions and photo processes in atomic, (bio)molecular and nanosized systems” since 2014. 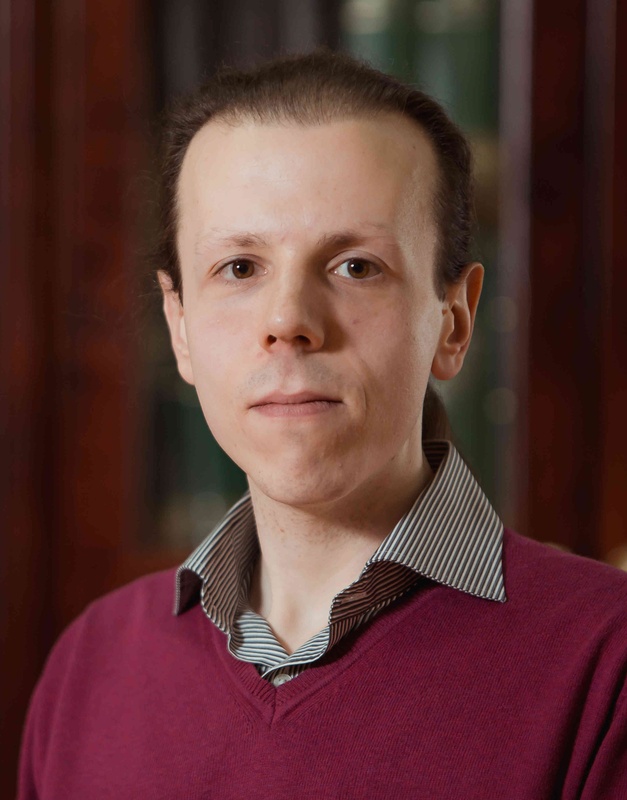 Bunjac Andrej completed his PhD in 2018 with a thesis named “Calculation of atomic state populations, angular distributions and energy spectra of photoelectrons for atomic systems in strong laser fieldsusing time dependent methods” under the mentorship of Dr Nenad Simonović.The area of research of Dr Andrej Bunjac is the analysis of interactions of atomic systems with strong laser fields by application of theoretical models and numerical simulations as well as the development of new numerical models for application to studying the processes of excitations and ionizations.So far he has 3 papers published in international journals and 6 publications in international conferences. He participated in 2 COST actions: COST CM1204 XLIC (ultrafast chemical processes) and COST CA17126 TUMIEE (modeling of intense electronic excitations). He was a part of the local organizing committee during the organization of the work group meeting for the XLIC COST action in 2015 at Fruška Gora and is amanagement committee substitute in the TUMIEE action. He also participated in bilateral projects with Austria, Germany and Republika Srpska. During his studies, Andrej mentored elementary school students from the Centre for talentsand worked with the Centre for promotion of sciencefor various cultural events.Outside of his scientific career, Andrej practices archery, plays percussion instruments and teachers mathematics to high school children. Angelina Totović was born in 1988 in Kragujevac, Serbia. She received her BSc, MSc and PhD degrees in Electrical Engineering (Nanoelectronics and Photonics), at the School of Electrical Engineering, University of Belgrade, Serbia, in 2011, 2013 and 2018, respectively, all under the supervision of prof. dr Dejan Gvozdić. From 2012 to 2018 she was a Teaching and Research Assistant at the School of Electrical Engineering, University of Belgrade. She joined WinPhos research group at the Aristotle University of Thessaloniki, Greece in 2018 as a Senior Researcher. 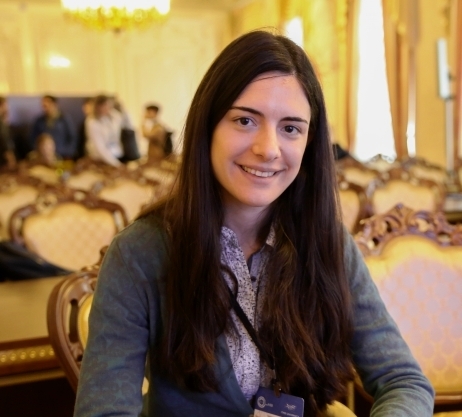 During the PhD studies, in 2016, she was awarded the Scholarship by Coimbra Group Universities through the Programme for Young Researchers from European Neighbouring Countries, through which she was a Visiting Researcher at the Photonics and Electromagnetics Group of the Department of Information Engineering at the University of Padova, Italy. In 2017 she was awarded the Optics and Photonics Education Scholarship by SPIE Society. She has been working on developing and implementing stable, robust and memory/time efficient algorithms for modeling and simulation of semiconductor optical amplifiers on device level, further transferred to the system level analysis. She was engaged in research on RSOA-based fiber cavity lasers. Her current research interests include neuromorphic photonics and exploitation of SOAs for colorless and energy-efficient optical access networks. She has authored/coauthored one chapter and more than 15 research papers. 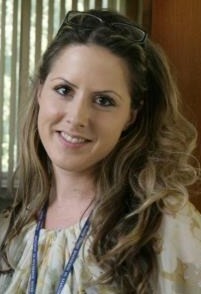 She received several scientific awards for her work. Danka Stojanović received her PhD from School of electrical engineering, Belgrade, Serbia. Her thesis is based on investigations and numerical simulations of electromagnetic wave propagation through chiral metamaterials. She is research associate at P* group which is a part of Laboratory of atomic physics in Vinča Institute of Nuclear Sciences. Her research interests are in modeling of photonic structures, mainly related to metamaterials and metasurfaces operative in terahertz frequency range. 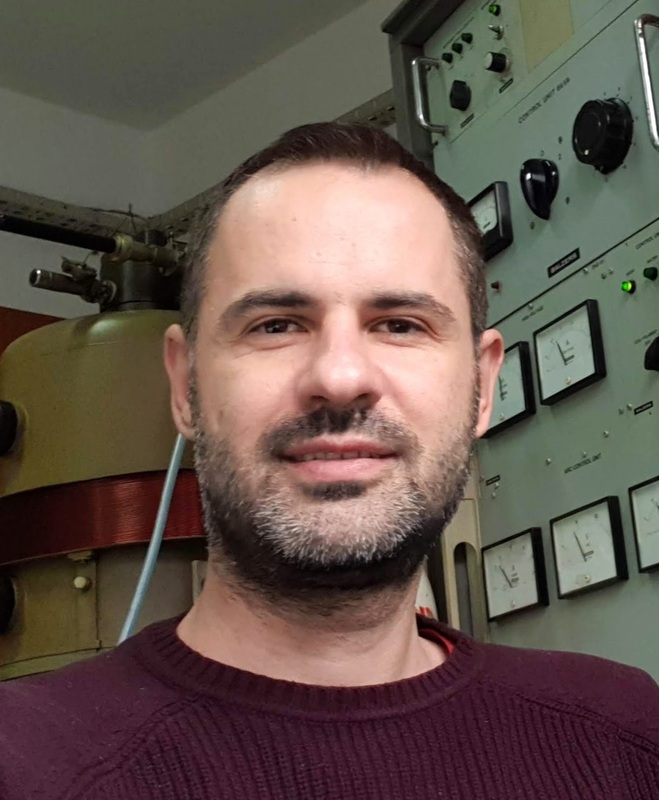 Dejan Pjevic received his PhD in 2018. at Faculty of Physics (Solid state and statistical physics), University of Belgrade. He started his research career in 2011. at Institute of Nuclear Sciences "Vinča" in Laboratory for atomic physics. His main research focuses are on structural and optical modification of thin film materials by doping, laser interaction and ion implantation. Topic of his PhD research was about modification of TiO2 thin films developed by PVD methods for better photocatalytic response. Beside researching structural, optical and photocatalytic properties of TiO2 thin films, he published papers regarding: influence of ion implantation on multilayered structures of Ti and various transition metals, photocatalytic degradation of oxide materials on ceramics, influence of laser interaction with multilayered systems Ti/Ta, Al/Ti and others. 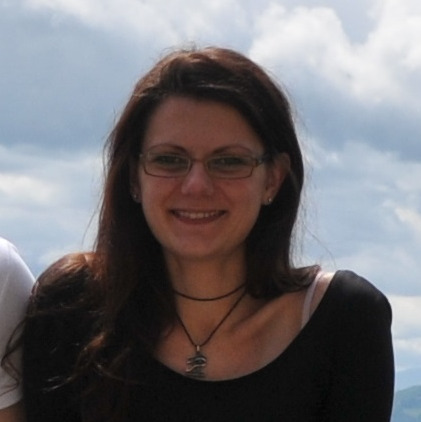 Maja Nesic obtained hers PhD in Chemistry in 2018 at the Faculty of Science, University of Kragujevac, Serbia. Currently employed in Vinča Institute of Nuclear Science, Belgrade, Serbia. She has performed research in the fields of mass spectrometry (optimization of MALDI TOF MS for detection of transition metal salts and complexes), lipidomics and proteomics (study of the interaction between potential anticancer drugs with lipids and proteins), and photodynamic therapy. She is author/co-author of 17 papers in peer-reviewed journals, one book chapter and 16 conference announcements. Hers current research interest is development of antitumor drug delivery system which could be controlled by the light. Marko Opačić was born in 1988, where he finished Fifth Belgrade Grammar School in 2007. He earned his Bachelor of Electrical Engineering at Signals and Systems Department of Faculty of Electrical Engineering, University of Belgrade in 2011, and his PhD at the same Faculty in 2018. The title of his PhD thesis was "Nanoscale phase separation in iron-based superconductors investigated by Raman spectroscopy". 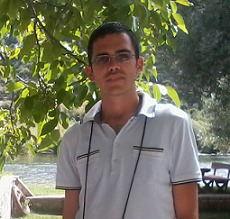 He began his scientific work in Centre for Solid State Physics and New Materials, Institute of Physics Belgrade in 2012. He was included in several bilateral projects. His research interests include investigation of strongly correlated electronic systems by means of Raman spectroscopy, lattice dynamics and phase transitions in iron-based superconductors and low dimensional magnetic systems. He is a coauthor of 6 original papers in leading international journals and one review paper in international journal. The paper: M. Opačić, N. Lazarević, M. M. Radonjić, M. Sćepanović, H. Ryu, A. Wang, D. Tanasković, C. Petrovic, and Z. V. Popović, "Raman spectroscopy of KxCo2-ySe2 single crystals near the ferromagnet-paramagnet transition", Journal of Physics: Condensed Matter 28, 485401 (2016) was selected from the editorial board of the journal as one of the most prominent papers of the year. Mioljub Nesic was born on July 3rd 1984. in Belgrade, Serbia. 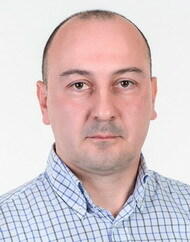 Having gained the MSc title at School of Electrical Engineering, University of Belgrade, in 2010, he started working at Vinca Institute for Nuclear Sciences, in the Group for Photoacoustics and Photothermal Science, led by Dr Slobodanka Galovic, the activities of which are part of the project funded by the Ministry of Science: “Functional, functionalized and improved nano-materials”. He has remained on the position of a Research Assistant until present, with the duties of assessing theoretical models through simulations, novel materials characterization and modeling, as well as setting up the experiment in the field of frequency photoacoustic measurements. Until now, Mioljub has published eight (8) papers in international magazines, one (1) paper in a leading national magazine, and has had nine (9) international conference presentations and five (5) of the domestic ones. 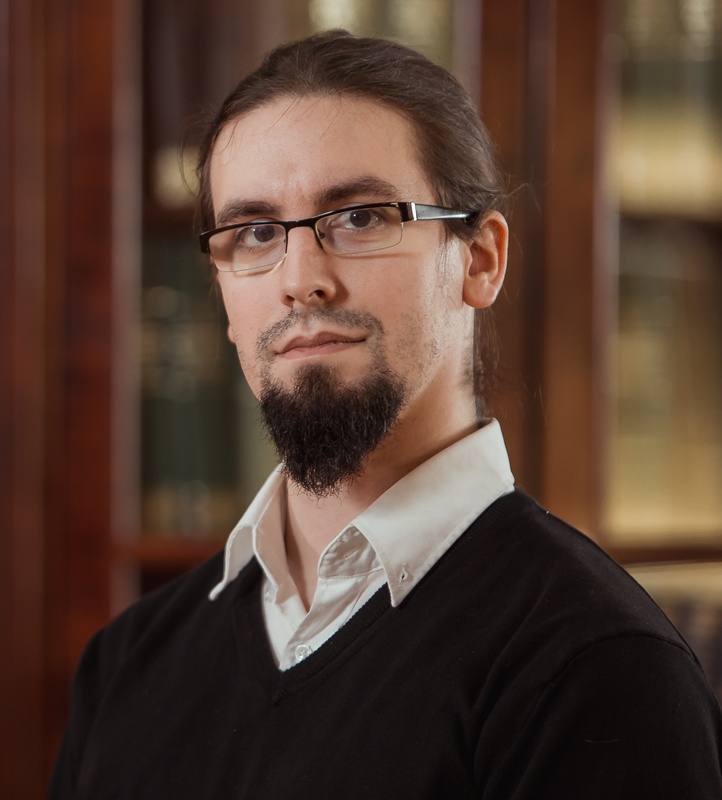 Mioljub has received his PhD degree, the thesis title being: „Developing the techniques for solving inverse problem in photoacoustics“. Public presentation of the work was held at School of Electrical Engineering on April 19th 2018. He is married, a father of two boys, and loves cycling and photography. Nikola N. Vukovic was born in Belgrade, Serbia, in 1989. He obtained his BSc, MSc and Ph.D. degrees in Electrical Engineering in 2012., 2013., and 2018. respectively from School of Electrical Engineering, University of Belgrade, Serbia. His research interests include the design and optimization of semiconductor quantum nanostructures, metamaterials, and ultrafast nonlinear optics. He has been involved in Swiss National Science Foundation (SNF) project ("Ultrafast Infrared Emitter on a Quantum Cascade - FastIQ"), Science for Peace and Security Programme, the ref. no. 984068 ("Terahertz QCL Based Spectrometer for Rapid Detection of Chemical Agents and Explosives"), COST ACTIONs BM1205 ("European Network for Skin Cancer Detection using Laser Imaging"), MP1204 ("TERA-MIR Radiation: Materials, Generation, Detection and Applications"), COST action MP1406 ("Multiscale in modelling and validation for solar photovoltaics (MultiscaleSolar)") and Ministry of Education, Science and Technological Development (Republic of Serbia) project ref. no. III 45010. He has co-authored 7 articles in refereed international journals and 16 conference papers presented at international and national conferences. 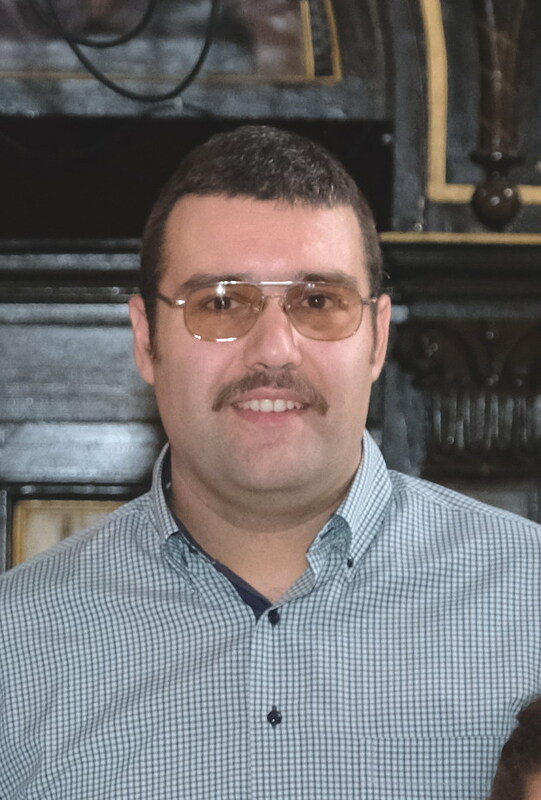 Radovan Dojčilović received his Ph.D. degree in physics in July of 2017 from the Faculty of Physics, University of Belgrade, Serbia under the mentorship of Dr. Dusan Bozanic and Dr. Vladimir Djokovic. The title of the doctoral thesis is: "Fabrication of silver-tryptophan and graphene oxide fluorescent nanostructures and investigation of their interaction with biological systems". 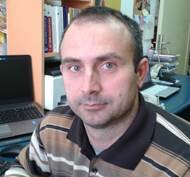 Dr. Dojčilović is currently employed at the Laboratory for Radiation Chemistry and Physics, within the Vinča Institute of Nuclear Sciences. His current position is a research associate. Main topics of his research include optical properties of hybrid nanostructures from biofunctionalized noble metal nanoparticles to perovskite nanocrystals, polymer nanocomposites, and graphene-based nanomaterials. Dr. Dojčilović participated in several beamline projects at synchrotron SOLEIL (DESIRS/PLEIADES/DISCO), and also in 2018 did his first postdoc at the University of Notre Dame, US.